Mizuho Bank, Ltd., Fujitsu Limited, and Fujitsu Laboratories Ltd. today announced that they have jointly conducted an operational trial using blockchain technology(1), which makes it practically impossible to tamper with transaction histories, to shorten the processing time for cross-border securities transactions, from the current three days to same-day settlement. Combining Mizuho Bank’s expertise in post-trade processes as a leading Japanese custodian bank with the expertise of Fujitsu and Fujitsu Laboratories in designing and building payment systems, as well as in applied blockchain technology, the companies plan to utilize their respective strengths to create an exceptionally convenient financial system that reduces the risks associated with cross-border securities transactions, such as price fluctuations. Due to the complexity of the process for cross-border securities transactions, it usually takes three days from trade execution to final settlement. This is because at each step in the process, from when the trade is initiated at the securities exchange to the actual settlement, a great deal of time is spent checking the settlement instructions and transaction content for inconsistencies. As the asset manager is exposed to such risks as price fluctuations if the counterparty goes bankrupt during the period between executing the trade and completion of the settlement, it is desirable to shorten the settlement process. Previously, there have been attempts to reduce the number of days required for settlement by eliminating this sort of complicated instruction checking process and sharing data through centralized management. However, issues such as the large cost of system operations management made the initiative impractical. 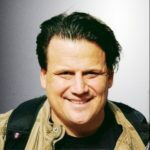 The goal was to enable low-cost, low-risk cross-border securities transactions by building a system utilizing blockchain technology that can almost instantly share matched trade information in the post-trade process as data that cannot be tampered with, but without building a large-scale settlement system from scratch. This would thereby shorten the time from trade execution to final settlement from the previous three days to the same day (figure 1). 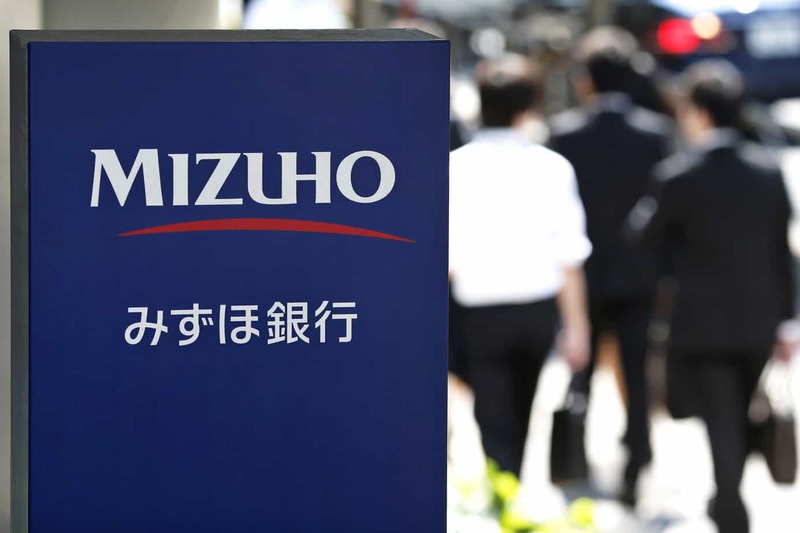 In conducting this joint trial, Mizuho Bank was responsible for providing its expertise with the securities settlement process, Fujitsu Limited conducted the development, evaluation, and testing of the trial system, and Fujitsu Laboratories undertook the trial application of blockchain technology. 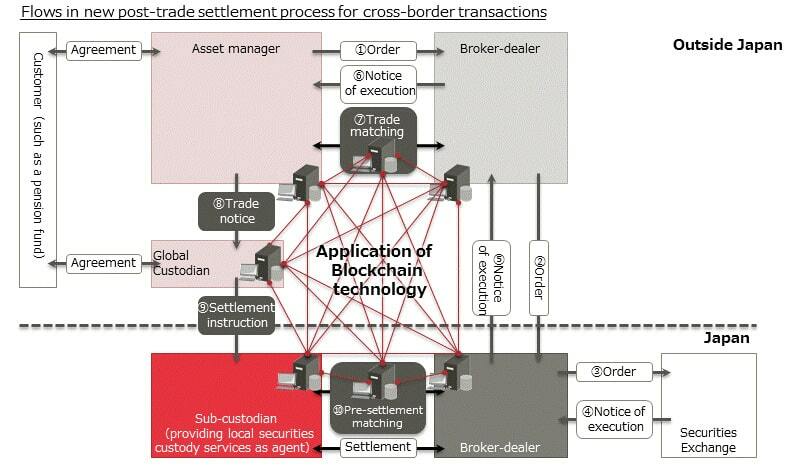 Using the blockchain Open Assets Protocol(2), the three companies built a blockchain-forming system in Fujitsu’s cloud environment, recording the information from a confirmation (matched trade information: securities name, quantity of securities, currency code, amount, country of settlement, settlement type, settlement date) as one linked block. In the system, continuously generated blocks containing trade information were chronologically linked as blockchain, becoming information that could not be tampered. And, because the information could be shared between multiple companies, the partners confirmed that it was possible to shorten the time required in the post-trade process. The three companies will use the results obtained in this operational trial to consider further the path to practical application of blockchain technology to cross-border securities transactions from March 2016.